So much sanity since the past 2 weeks or so on my blog was making me a bit uncomfortable you see. 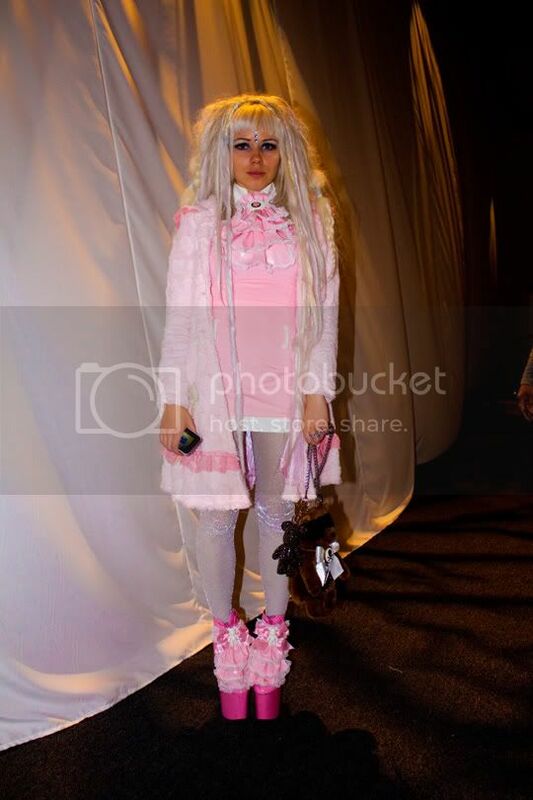 So had too post Kerli’s pictures!! Her outfit reminds me of all the Harakuju style of Japan. Some cool Harakuju style can be found here. I spotted those shoes from a mile away. I really did! She is an artist BTW and I love that first picture with all the spooky shadows behind on the walls and the blindfolded teddy. wow! 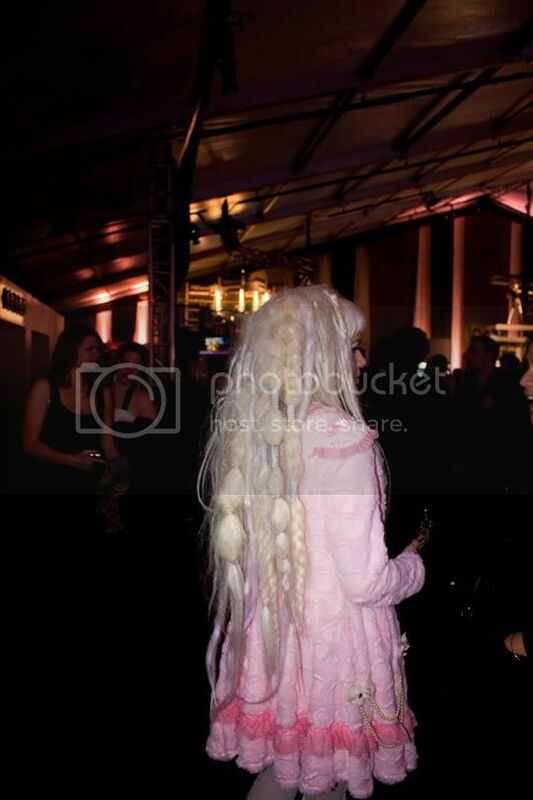 i love her hair and her barbie-esque outfit! oh wow wow wow wow wow! Those shoes are amazing! Very interesting. Not something I can pull off though. Is that her real hair? WOW! Cute bag! I admire all the work behind the Harajuku girls outfits. How cool is she???!! And those shoes are MEANT to be spotted from a mile away!!!!!! wish i could pull off this look. <3 for the shoes. thank you for stopping by :). OH MY GOSH THOSE SHOES!!! i was born in India, then when i was child i was adopted by italian family. Now they are my parents, i'm italian by India is in my heart! When we go to India, I like to shop accessories and when I'm in Italy I can customize my outfit with a touch of India!! 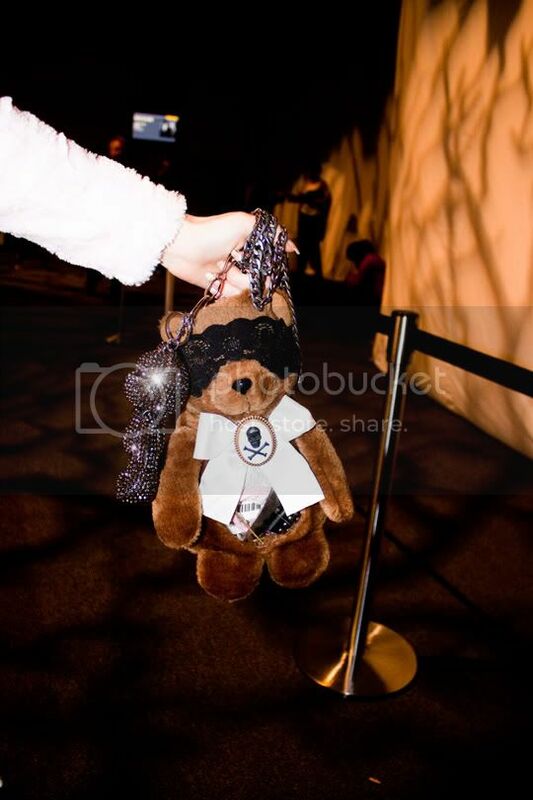 the teddy bear is really so cute!! WOW.. she loves pink for sure..
that pink shoes are so cute but I'm scared to wear them LOL but they will hurt my feet!